Zapier is a very powerful tool that helps you to connect Lodgify with external apps in order to automate workflows and centralize actions. 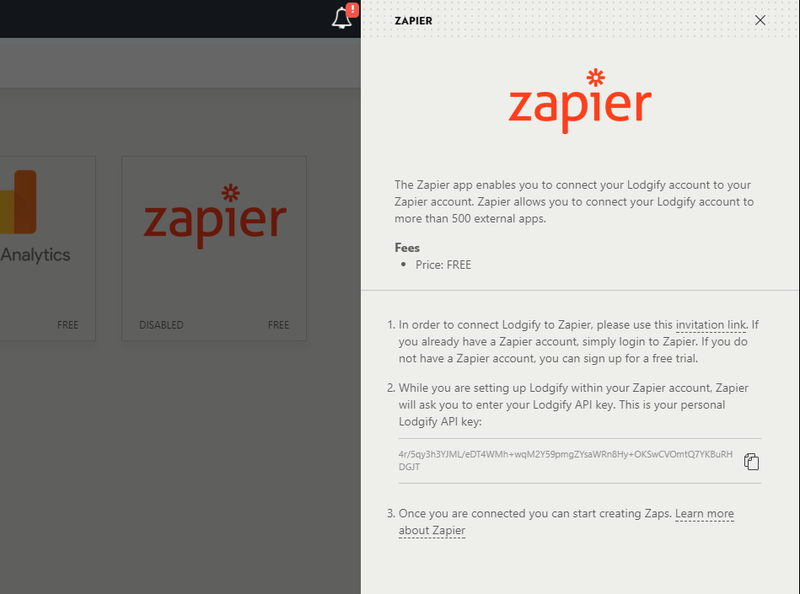 Zapier is an external platform that allows you to connect your Lodgify account to more than 500 external apps. Through these connections, you can share data from Lodgify bookings with other programs and optimize processes quick and easy. Zapier watches Lodgify for Triggers (new activities) and kicks off Actions in your other apps. Updated Booking: Triggers when a booking information is updated. Select Zapier and then follow the instructions provided. Once you are connected you can start creating Zaps. Creating rows in Google Sheets via Zapier is a great feature to for example create booking reports automatically and keep them up to date. See how it's done. Make another Zap to ensure your Google Sheets are always up to date with the latest changes. Connect Lodgify to Slack to inform your reservations team of any new bookings and changes. When setting up a Zap you can choose from a variety of attributes which you can extract from a booking and send via Zendesk to a different app. Here you find the attributes and a short explanation for each. This means that in the reservation two room types have been booked, the first one with 2pax and the second room type with 1pax. Booking Room Types Name Names of the room types that have been booked in the reservation. Booking Source Name Source of the booking, e.g. Booking.com, or phone (when booking was created manually). Booking Source Type Type of booking source e.g. manual booking, booking via the website (OH), imported booking from an external platform etc. Booking Language The language in which you are communicating with your guest depending on the guest country and your activated languages. Quote Status The status of the quote can be pending, expired, agreed, rejected or deactivated. To find out more see this article. 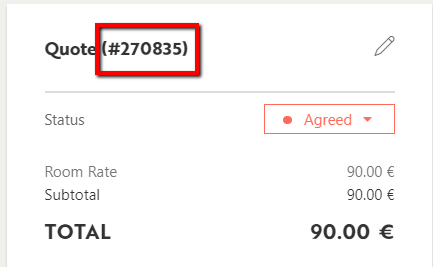 Booking Is Policy Workflow Active? Policy workflow can be activated or deactivated. Quote ID Identification number of the quote. Quote Property ID Identification number of the property quoted. 💡 Note: A booking can additional quotes which could be for a different property but are not active.